Made of safe & durable BPA free rubber, which is not easy to damage. Smooth surface, rounded corners, security guarantee. Easy for little hands to hold and play. Bright colors and lovely cartoon help you to get your babies used to washing their hair. Let your kids love to take a bath. Helps children develop hand-eye coordination and understand cause and effect, stimulates curiosity, imagination and the senses. Good gift for kids! 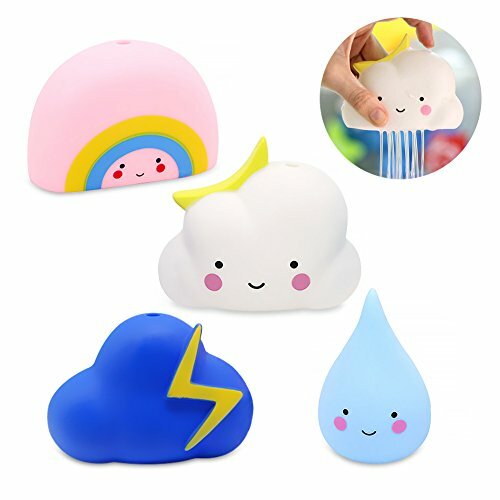 This set of 4 fun baby toys brings playtime to the bath tub. Bath times are so exciting !